Pouch is installed, and side PALS are folded down, then the whole structure is connected to rig (pack) with separate rigid clips. Oh, nearly forgot. Belt section height (i.e. 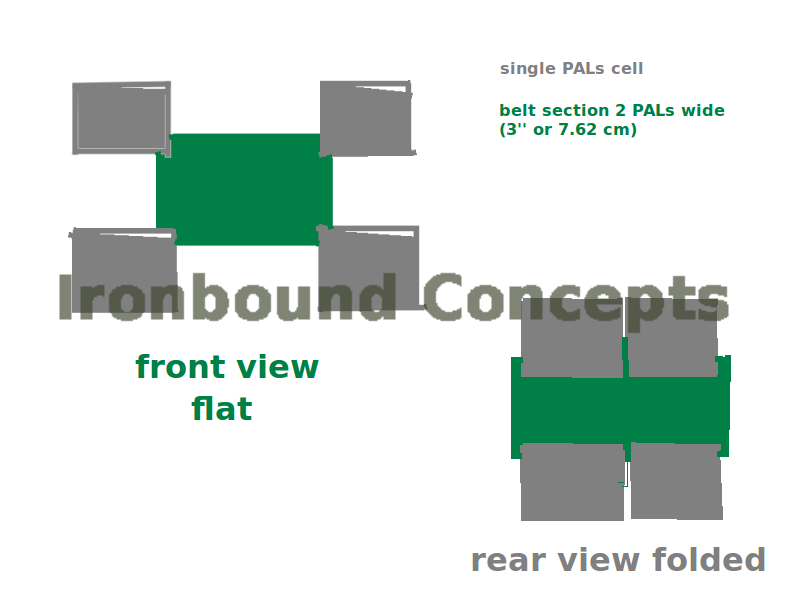 belt width) can be 38-55 mm. Modular surface is preferable to be continuous line-by-line, MALICE type, with no gaps between the straps. Luckily, this feature is frequently found on modular belts. This entry was posted in Equipment and tagged adapter, attachment, belt, concept, modularity, PALs. Bookmark the permalink.